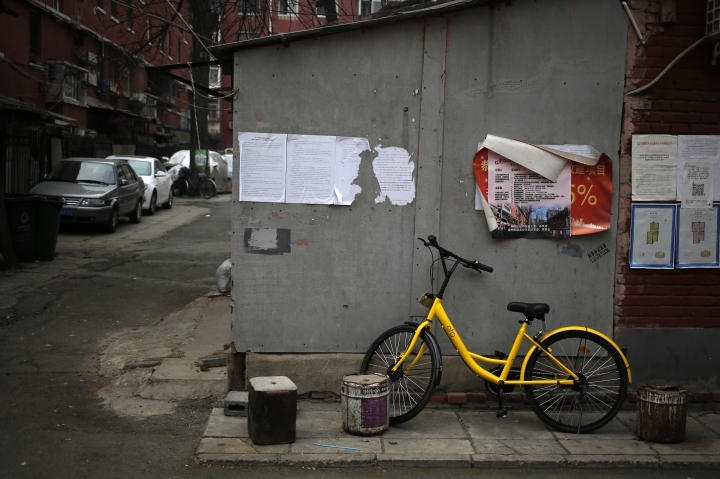 BEIJING — The shiny bicycles in bright orange, yellow or blue are everywhere in China's most prosperous cities, even in places they probably shouldn't be. 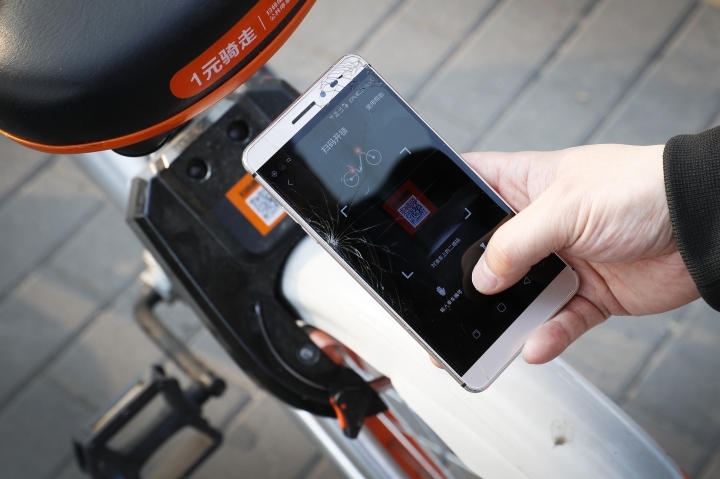 The two-wheelers are unlocked and tracked using smartphone apps and can be rented for as little as 7 U.S. cents for half an hour. 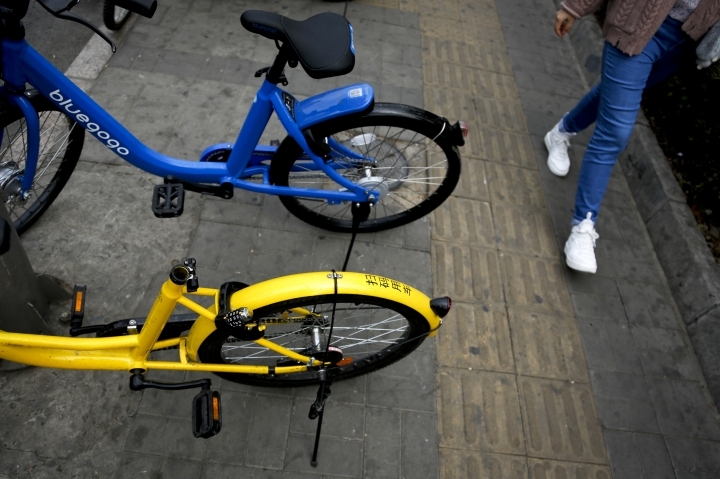 They are the latest symbol of heavy spending by venture capital firms in China's internet sector, where startups are racing to attract more users, seemingly regardless of the cost. 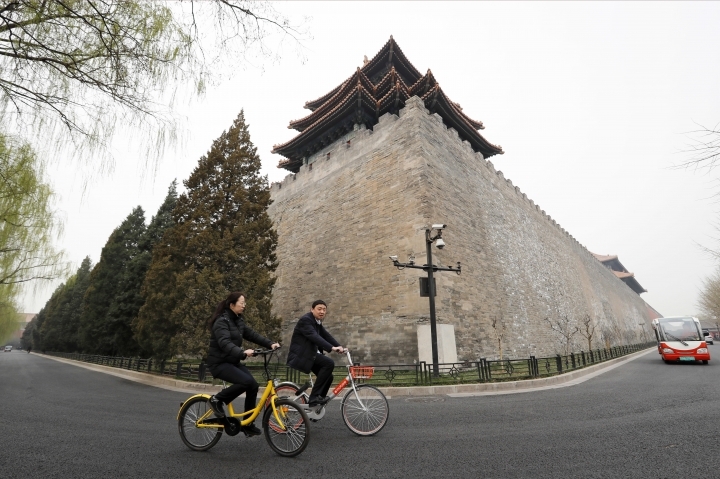 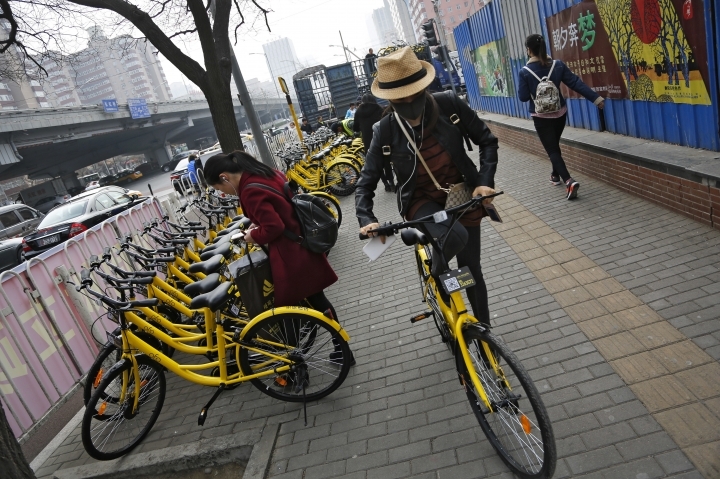 Around 2.2 million bicycles have been deployed in China by companies that include Ofo, Mobike and Bluegogo, and are most frequently used in cities such as Beijing and Shanghai, according to internet analyst Xue Yu at IDC China. 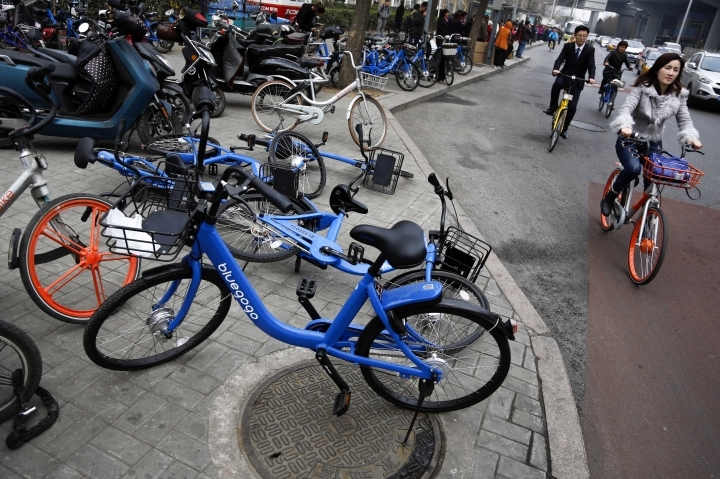 In their rivalry to be market leader in bike-sharing, the companies have raised hundreds of millions of dollars and are offering discounts and free rides to attract more users. 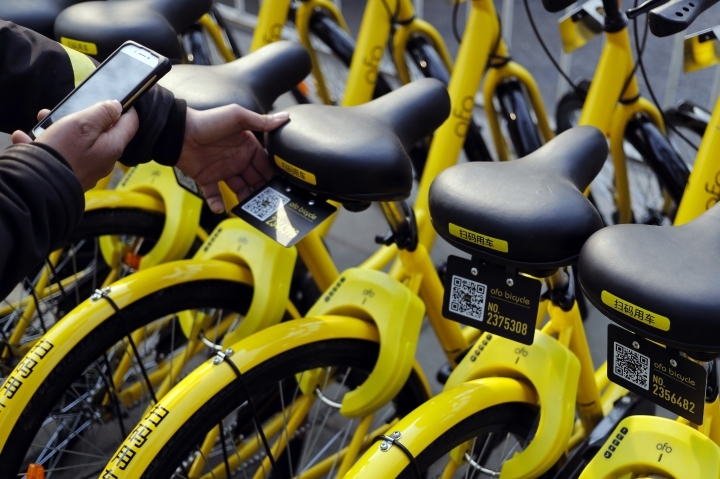 It's unclear if the business model is sustainable or how it might change if a winner emerges. 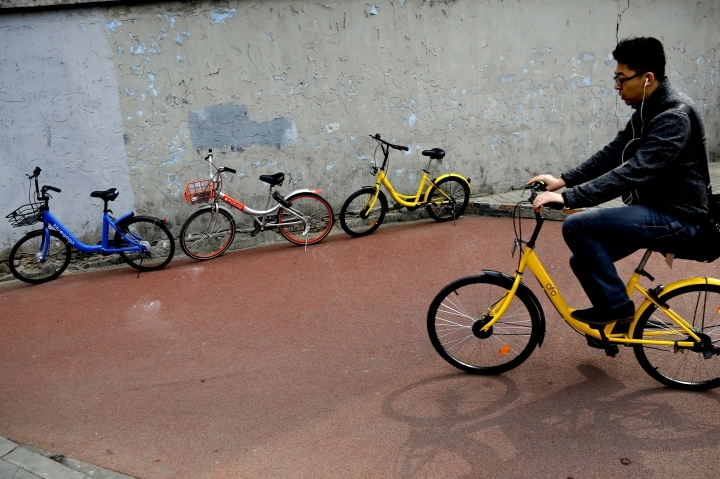 China was long known as the "bicycle kingdom," but that moniker has become outdated as more and more Chinese buy cars amid the country's economic boom. 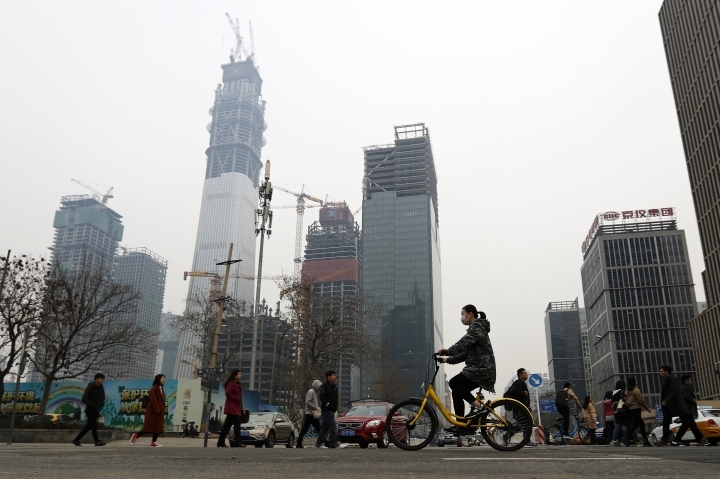 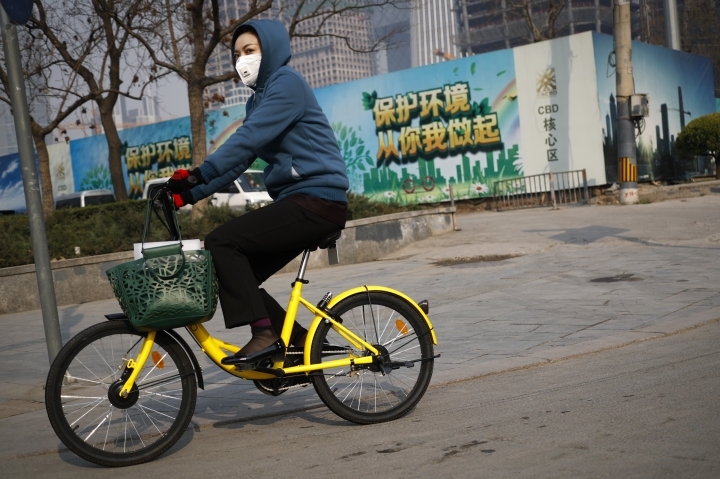 China overtook the United States in 2009 as the world's biggest auto market, but authorities have encouraged bicycle use to reduce pollution and congestion. 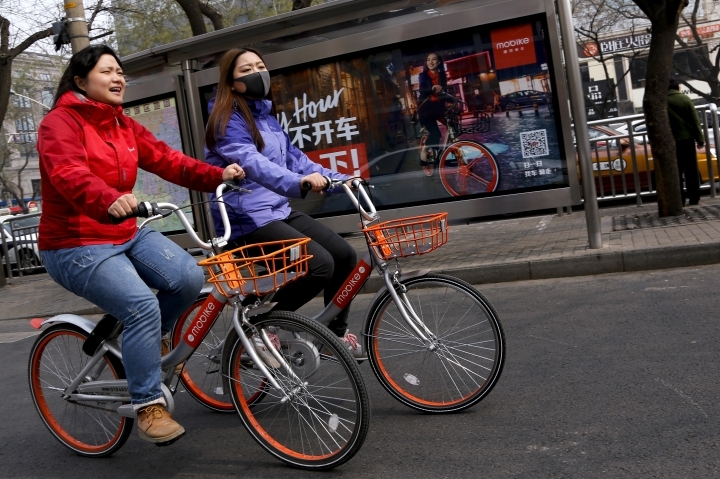 Shared bicycles are now ubiquitous in Beijing, where Xue estimates more than 200,000 have been deployed. 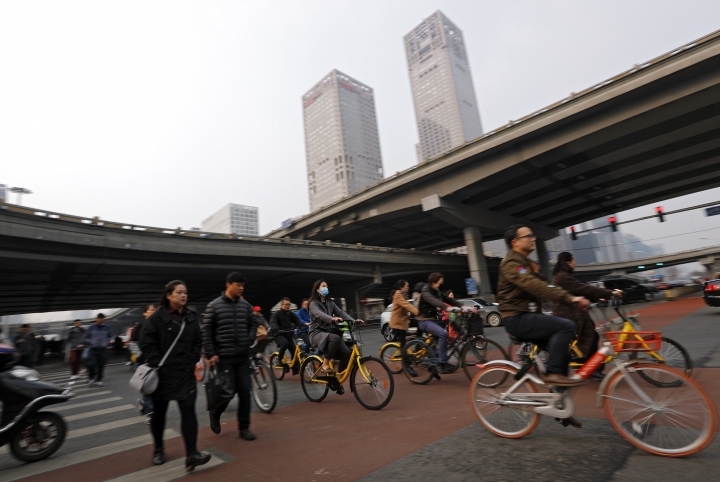 They're pedaled on the roads by commuters getting from subway stops to their workplaces, homes or other destinations. 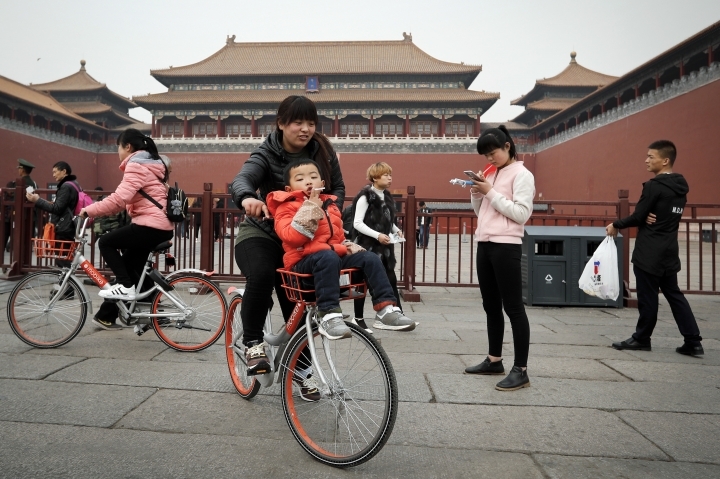 On weekends, tourists use them to wander along traditional alleyways in the city's historic center, near the Forbidden City. 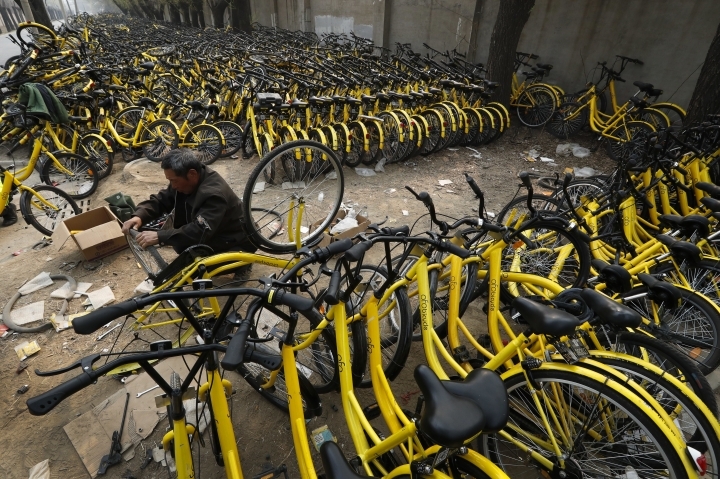 But as more and more bikes hit the streets, they add to the urban chaos, as riders leave them basically anywhere. 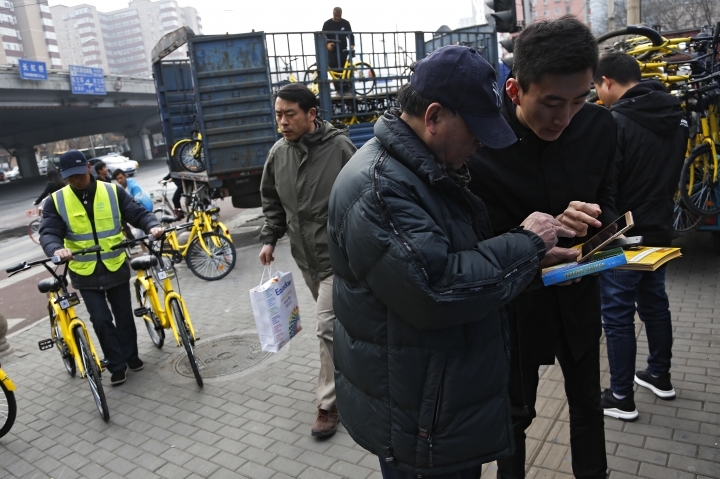 Rush-hour users park them in public-bus lanes, leaving them for street attendants to pick up and move aside. 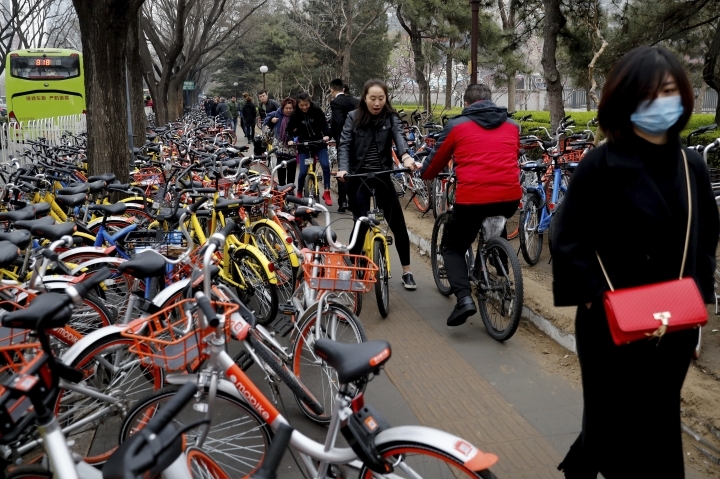 Rows of bikes, some of them toppled, crowd the sidewalks, leaving pedestrians little space to walk. 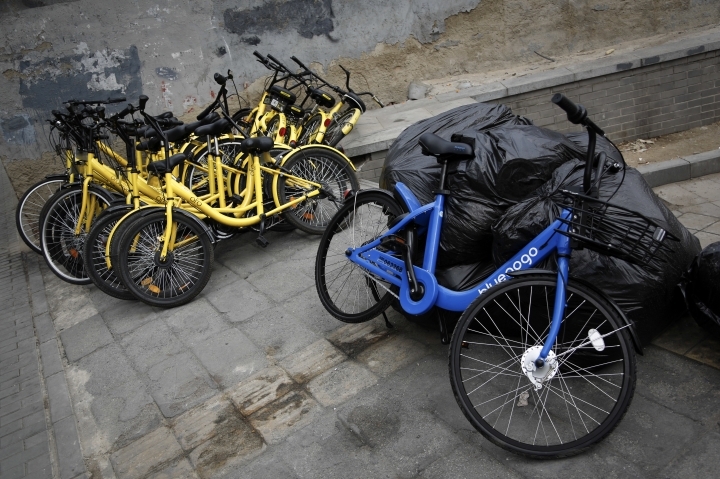 Vandalism has become common, and repairs can be costly.